Visitors to The AdventureDome at Circus Circus can enjoy over 28 carnival games and over 48 games with prizes! Skee ball, a classic, is just one example of the fun games that you can play at Carnival Midway. Get your best beau to win you a prize at one of the traditional carnival games. The atmosphere is fun and exciting with the sights and sounds of an amusement park. Along with the exciting carnival games, check out over 200 games in the arcade—there will be something for everyone to love! This is an adventure the whole family can enjoy and a place where memories are made. As an adult I enjoyed this, and the kids LOVED it! I’m so glad that circus circus has so much to do to entertain the kids, I know it isn’t easy in Vegas. It was a LOT of fun when we went there! 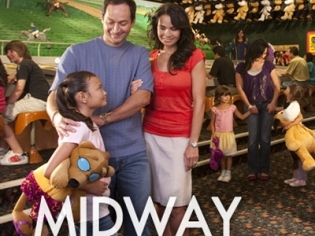 :) i personally LOVED the MIDWAY, i won a lot of prizes, but i spent all my money… It’s worth it!